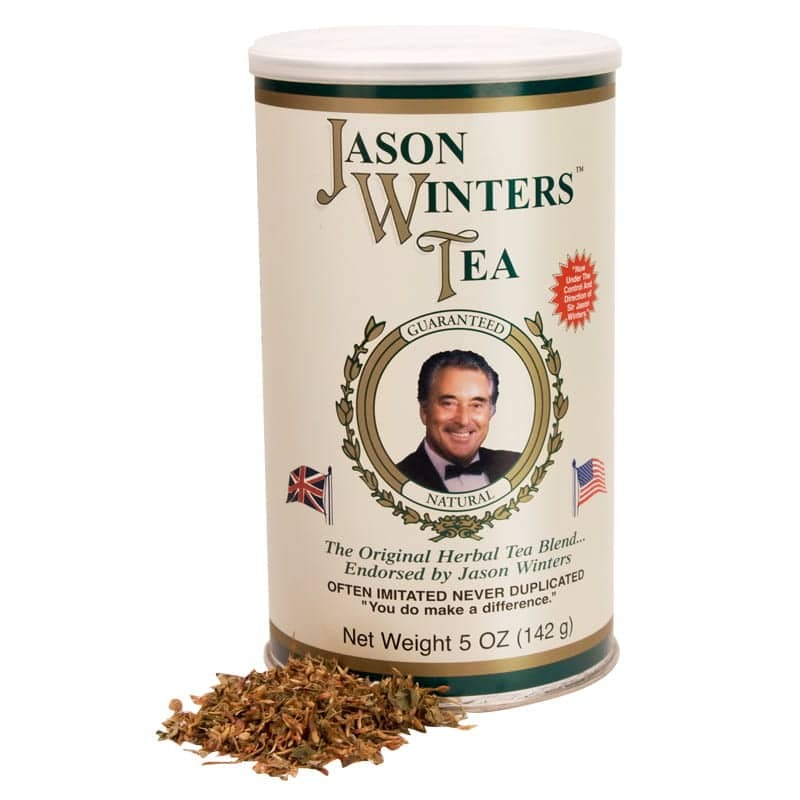 It was to these ancient cultures in diverse parts of the globe that world renowned Sir Jason Winters traveled as he sought the herbs for his herbal tea. In the rain-soaked pastures of Europe, descendants of ancient gypsies showed him where to find the finest blossoms of Red Clover and in the arid deserts of the Americas, he learned the incredible wonders of Sage and Chaparral from Indian wise men. Use two teaspoons to one pint of boiling water. Allow to steep 15 minutes. Sweeten to taste. Drink one cup before each meal and one at bedtime. Can be made into sun tea – two teaspoons per pint. Red Clover, Indian Sage Leaf, and Herbalene® Blend (special spice). 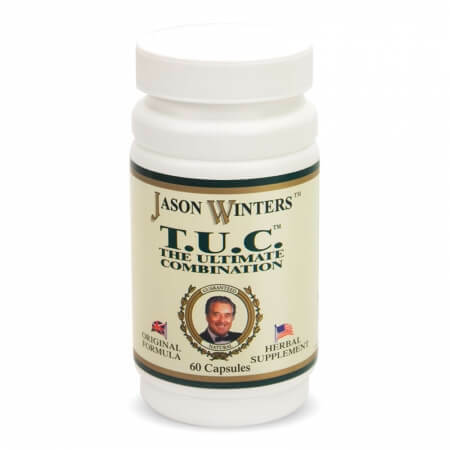 Jason Winters Formula, with sage. Just started this 3 months ago. I have had 2 different cancers over the last several years and have added this to my morning routine. I have NEVER liked teas but I can actually drink this with out any problems. I also feel that I have more energy with this as well. I will continue with this tea indefinitely. I love this tea! It is delicious with honey, hot or iced. A delightful substitute for sugary drinks. I feel energized and just more healthy when I drink this on a daily basis. My husband and I drink your tea with sage before meals and love it! It is part of our daily routine to stay healthy and we both feel great! The teas are wonderful! I mix the sage and chapparal with Essiac. I feel so much better already. The green tea has such a clean and delicious flavor as well. I am thrilled to have found your product! This tea is my nighttime ritual! Of course I drink it anytime but before bed it is a relaxing, calming, hydrating bliss. It helps me stay on course with my morning constitutionals …if you know what I mean. I love this product! Probably 30 years ago, my husband brought a case of this tea home from an auction where he had purchased it for me because he knew I liked tea. I had never seen this tea before and I was used to regular or flavored black tea. I thought to myself, why would he think I might like this tea, and, especially a whole case of it? 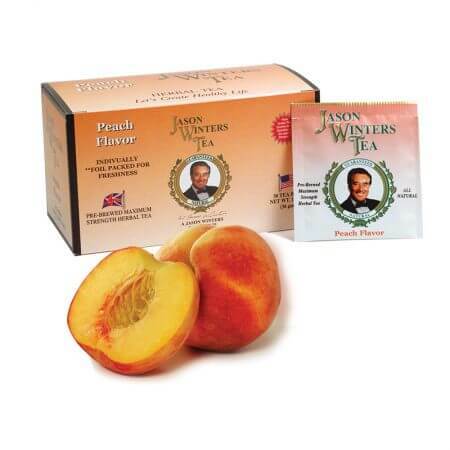 Anyway, it wasn’t the taste that got me hooked on this wonderful tea, it is the results I get from drinking it. I almost immediately feel better when I’m under the weather and it definitely gives me more energy. It truly is an amazing tea and I am constantly recommending it to people. Thank you so much, JWT!! Best tea on the planet! I have been sipping this tea for years. I started drinking the tea with sage, as I found it more to the taste I liked best. Since taking the tea, I have found that my health has improved vastly. I drink 3 cups per day, and this seems to be the best. for me. 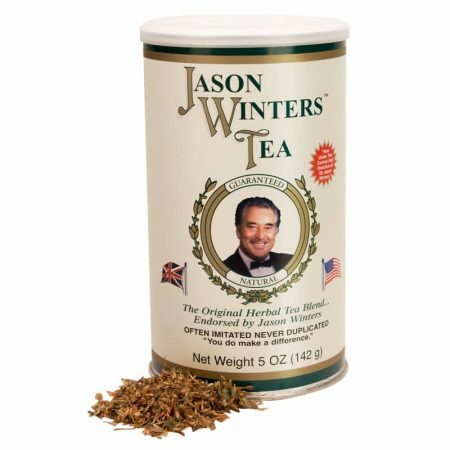 My mother started using Jason Winters tea years ago and I have now carried on that tradition to my own children. We all love it! After drinking it you will notice a change in the way your whole system works. It is wonderful and lasts a long time. This is an excellent product. One where there is a noticeable, physical difference within 20 minutes of drinking it. It is best to make it strong and refrigerate it for usage throughout the day and evening. Five stars is a modest rating for this extraordinary tea. I have been using this tea for more than 15 years. I make a gallon at a time and put it in my refrigerator. I drink about a gallon a day. It gives me energy and balances my body so well. I cant remember the last time i had a cold or flu. I recover extremely quickly from my workouts and am healthier than men 20 years younger than me. It is FANTASTIC!!! I’ve been drinking this tea for about 3 weeks now. I mix it together with the Chaparral Tea and make it a pot at a time. I do feel more energetic than before using this product. I love this tea! I got it out of desperation. I have had a prolonged urinary infection after I lost my baby boy 3 years ago due to the infection. I havent been able to get better from the infection. I also had fatigue, endometrisos, mood swings from inbalance of hormones and a few other underlying ailments which the drs cannot correct. I have tried everything! After 4 weeks the infection had as gone, my energy has gone up, my moods are better. Plus, my family started to get sick with a sore throat and cold and we all drank this and our cold was gone within hours. My son who is 6yrs old drank it too when we all fell sick. 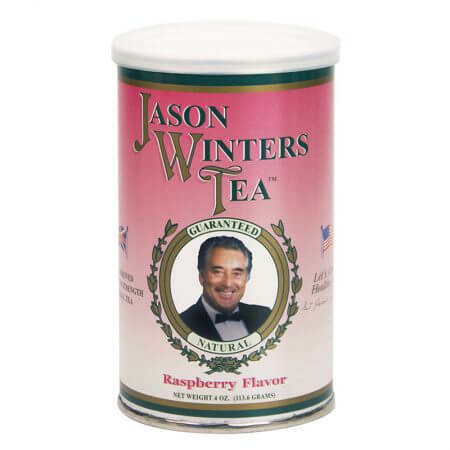 He loves the taste of this tea. I thank my husband everyday as he found a Jason Winters book in a secondhand store which was about Cancer and after discussing it we thought why not give it a go. Thank you JW. From: $15.15 / month Sale!